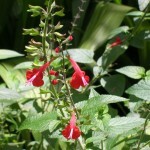 Scarlet Sage (Salvia coccinea) - Richard Lyons Nursery, Inc. 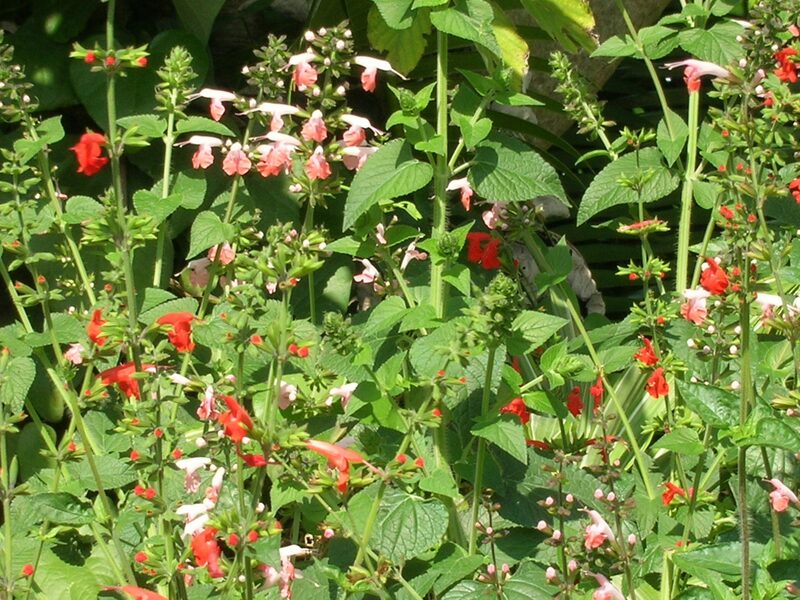 When Dr. Edwin Menninger bemoaned the “solid green” of Florida’s native flora, he must have forgotten about Salvia coccinea. If you want to add brilliant color to your home landscape, please consider this striking native shrub. 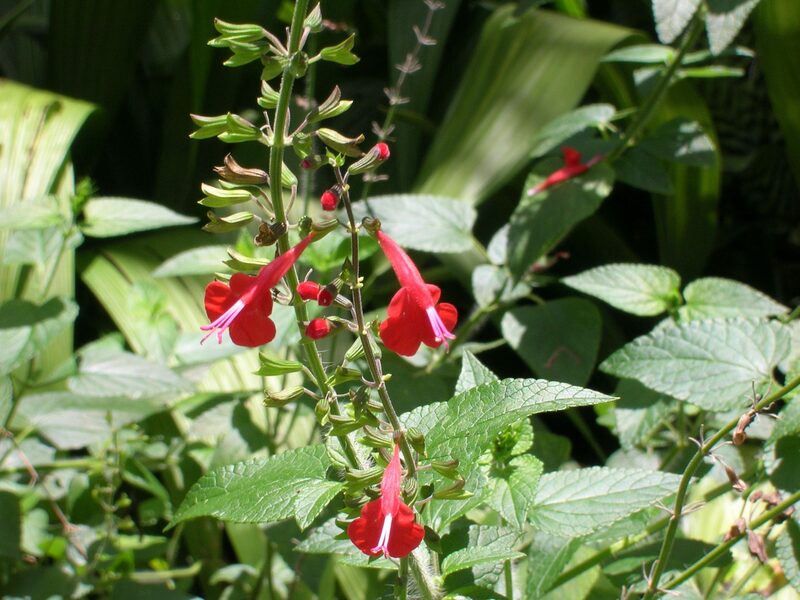 Commonly known as Scarlet Sage, this herbaceous perennial from the family of lamiaceae is native to a huge range from South Carolina to Texas, then south into Central America and southeast into the Caribbean Basin. It attains a height of 2-4 ft. and produces triangular leaves on long leafstems. 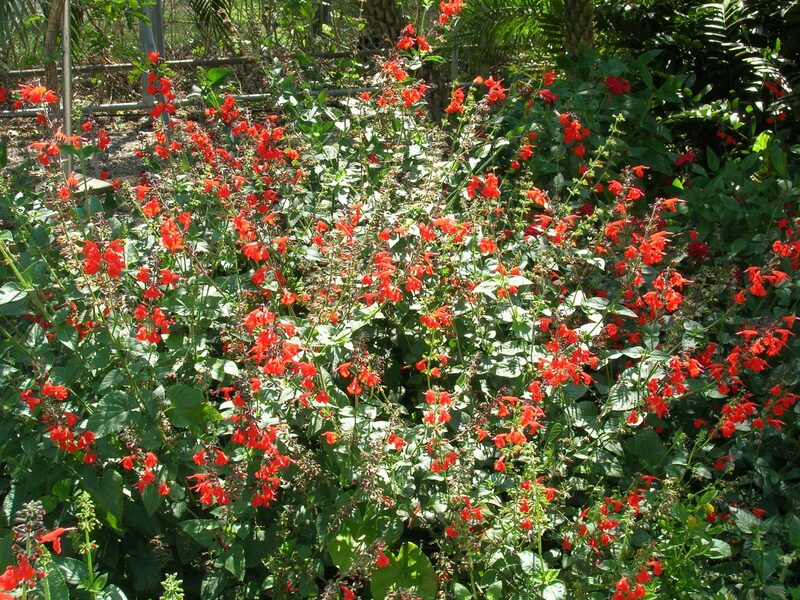 Bright red flowers roughly an inch long are borne in loose whorls on upright stems. Over time cultivars have been developed to produce pink, white and bicolored flowers. In southern Florida the plant blooms most of the year, but in the mid-south, flowering lasts until first frost. Seeds overwinter in the ground and germinate when warm weather returns. 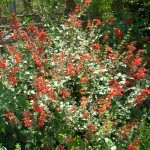 Scarlet Sage is not a very demanding plant, occurring naturally in dry soils. However, during sustained rainless spells, flowering is not as prolific. It performs best in sunny positions, but can tolerate intermittent shade. 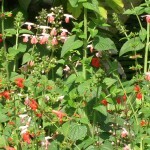 S. coccinea makes a good, durable bedding plant and is particularly desirable as a butterfly and hummingbird attractant. This plant is grown at Richard Lyons’ Nursery in 1-gal. containers.